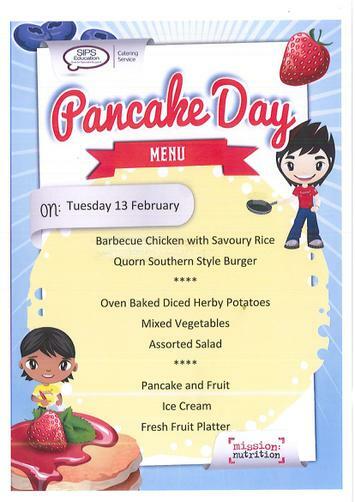 It's Pancake Day at Temple Meadow on Thursday 13th February 2018. Make sure you check out our lunch menu below! Please note, barbecue chicken has now been replaced with chicken curry.